As Safa, we are extremely proud of Banyana Banyana’s first qualification for the Women’s World Cup, and we have received many congratulatory messages – including one from Fifa, whose officials are delighted at the progress of South African football. Safa received a further boost to its international profile when Fifa opened its regional office in South Africa and located it within Safa House at Nasrec. While we had hoped that these elements would have resulted in a celebration of football in general in our country, instead – as we have become accustomed to – some people, for what-ever reason, focused on the disparity of pay between male and female athletes, a matter that has existed for years, beyond Safa’s actual existence. Having said that, Safa supports promoting more women in its decision-making structures and the equal remuneration of women in general, and of women in sport in particular. This pay disparity in sport has its roots in the fact that men’s football – and sport in general around the world – enjoys a multiplicity of sponsorship. In contrast, women’s football (and sport in general), in most cases, survives on internal funding or a single sponsor – in Safa’s case, Sasol. This is further compounded by the SABC’s refusal to televise women’s sport in general and football in particular, resulting in sponsors saying the sport is commercially unattractive to them. Tuesday was a historic day for South African football, and Safa in particular. 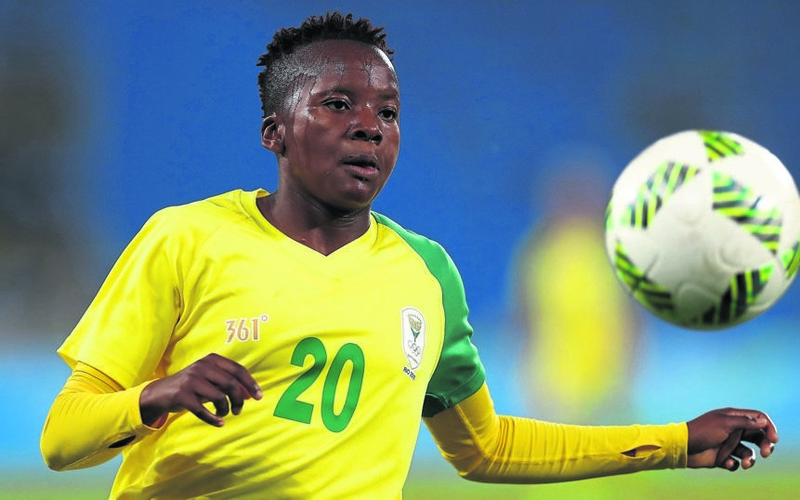 Coming 20 years after Bafana Bafana participated in their first World Cup in France, Banyana Banyana qualified for their first Women’s World Cup and will be taking South Africa back to France in June. Rather than being able to celebrate this momentous occasion, Safa has had to fend off negativity from opportunistic parties, media channels and others wanting to have their voices heard. These parties are questioning Safa’s commitment to women’s football and to Banyana Banyana in particular. Suddenly, there are comparisons being made about what the women are being paid versus their male counterparts – but only in South African football circles. Curiously, or for reasons known only to those posing these questions, the matter has not been raised regarding rugby or cricket payments made to male versus women athletes. Safa is by no means advocating that this anomalous issue be swept under the carpet. But the timing of the backlash leaves a lot to be desired and begs an answer to the motivation of the parties involved, since Safa does not want to speculate on such motives. This is a societal issue not only in South Africa, but in the world at large. The corporate environment, by and large, is male-dominated and controlled, and generally appears to have little or no agenda or consideration for the advancement of women’s sport. Sasol has been Safa’s only partner in respect of women’s football for the past nine years, and must be applauded for its commitment to the empowerment of women in football and to Safa in particular. Safa is the first to acknowledge that more needs to be done to correct the imbalances in our game. Currently, we are paying the players commensurate with the sponsorships that we have been able to secure. Despite the fact that we have been approaching the market for many years now, trying to acquire greater input from corporate South Africa into women’s football, there have been no other parties coming forward. experts questioning Safa’s commitment to women’s football? Broadcast money largely assisted with this. In the current climate, without any broadcast money, this investment from Safa will not be possible and, as such, will hamper the further growth of women’s football in this country. association with this team and its success. We can only draw one conclusion: the opportunists are seeking association with a successful team and brand like Safa, which they didn’t believe in before, but now want to link their brand to for free exposure. Safa is not interested in handouts. If your heart is where it should be – with true commitment and support for women’s football – make a long-term commitment to funding it. It is also important to note that Safa invested heavily in the qualification phase of the Under-17 women’s national team in an effort to secure their qualification for the Fifa Under-17 World Cup. When this team eventually qualified for the cup, Safa had to again use its own resources (as the team remains without a sponsor) to provide preparation camps and matches for the team. Among these matches were the Brics Tournament in South Africa, as well as Safa sending the team to Spain. On this occasion, through the commitment of a foreign company – La Liga – Safa secured some support, for which we remain grateful. In addition, Safa sent the team to Paraguay earlier, again at great expense, to allow them to participate in more preparation matches. But at the height of this team’s success, Safa found no willing South African corporate to put their hand up to offer support for this team. Such is Safa’s desire to build further on the current success, and in an effort to maintain the upward growth of the game in this country, that it resolved to establish a national women’s league next year. Interestingly, despite all the opportunists who now wish to offer “handouts”, not one of them has stepped up to the goalposts and declared their commitment to support this league financially. Safa is on record as stating that the basic cost to run this league is about R40 million a year. Safa intends, with or without commercial backing, to forge ahead with the establishment of this league for the good of women’s football. But it is Safa that everyone says is not committed to women’s football. We would like to challenge all corporates to embark on some introspection about their true commitment to women in sport and specifically in football, and to honestly ask how they are committed to making a difference in the lives of women and society at large.